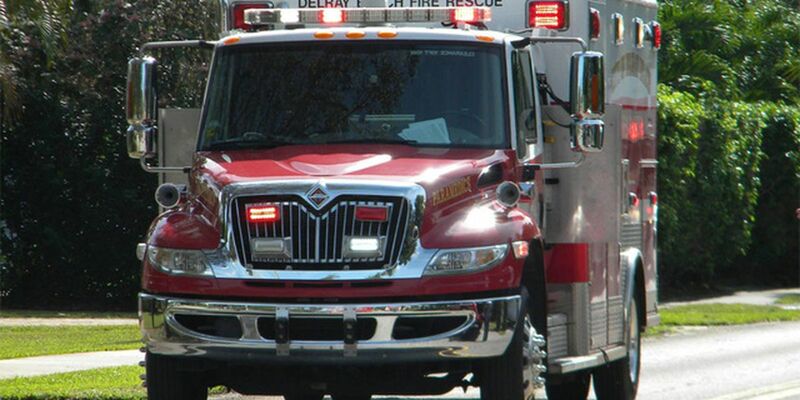 Delray Beach Fire Rescue said a motorcyclist was killed Tuesday morning in crash involving another vehicle. The wreck happened at about 7:11 a.m. in the 2000 block of North Federal Hwy. Police say it appears 27-year-old Edward Joseph Delaura of Lake Worth was heading south at a high rate of speed when a northbound Ford F-150 made a U-turn in his path, and he collided with the pickup. He was pronounced dead at the scene. The other driver was not hurt. Police say it's not clear where Delaura got the motorcycle because relatives told them he left the house in a car on his way to work Tuesday morning. Officials say if you have information about Delaura or the black Yamaha sport motorcycle involved in the crash, to contact Investigator Matt Saraceni at (561) 243-2936.